Hi, our lovelies – we were tagged by Princess @ RoyalReader to do this award! Check out her blog (if you haven’t already) – it’s very nice! You may have seen us do multiple tags these days – well when we were absent for a while, we were tagged by many awesome bloggers (thanks!) and we want to get through them so that they don’t drown us later on! 1. Do you prefer buying books or borrowing them from the library? Borrowing from the library – so that if we like a book, we can buy it without any regrets! Plus we are supporting the community by doing so! Also, we’re broke (but who isn’t)! 2. If you could direct one book-to-film adaptation of your choice (that hasn’t been made yet), which book would you turn into a film? There are way too many books we want a book-to-film adaptation – but one that we always wanted has to be…ANGELFALL By Susan Ee. – check out our review here. We, of course, are always wary when our fave books are to be adapted to the big screen – it may not go well!! Honourable mention: would have to be Percy Jackson series By Rick Riordan – check out our review of the first book here! We would want it as a TV series instead of a movie (as we know where that led us last time)! 3. We all go through horrible reading slumps, but was there any book that was so hard to get through that it put you off reading for a while? 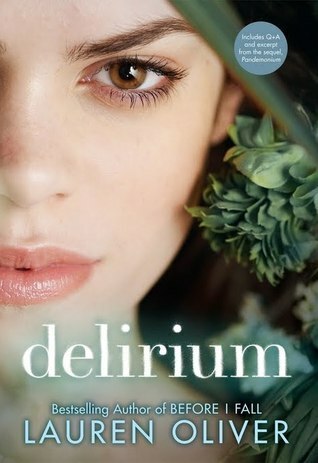 We said this before – and we think it would be cruel and unfair if we mentioned the same book again (check out our last post if you must know) …so let’s choose a book that displeased us (but did not put us on a reading slump) – Delirium series By Lauran Oliver. If you could only read from one genre – what would it be? And why? Favourite pet from a book? Why? Which book-to-movie adaptation do you guys want most? Do you, like us, borrow from the library to save you from having any regrets? What book(s) put you into a reading slump? COMMENT DOWN BELOW – we are nice people! Thank you for the nomination! I love your questions and I can’t wait to answering them (hopefully I can stop my procrastination when it comes to these kind of things and do it soon!) I also agree with Angelfall. That book needs to be a movie or tv show asap. I need more Raffe in my life, please and thank you. 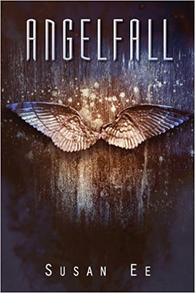 I totally agree with Angelfall being made into a movie! I would love it for sure 🙂 Or maybe a TV show too. And we need this to happen – you can only reread a book/series so many times!! Thanks for tagging me! I actually just did this award earlier this week, but I like your questions so I’m just going to answer them here! 1. Classics. It feels sort of weird to choose a genre which is never going to come out with new material, but there’s still so much to read already, I could easily devote a lifetime to reading classics and not get bored. 2. Hmm, probably Hedwig! For obvious reasons. 3. Ravenclaw, hands down. Also a bit Slytherin and a bit Hufflepuff, and not even the least bit Gryffindor. Sorry, Harry. You’re welcome!😉 We’ve been wanting it ever since we finished the series!! It’ll be very hard to for it to live up to our expectations! Oh we liked the first and second book kinda….but then she came up with the third book (which took us forever to read and kinda regret that we wasted time with this series because of it)…so yeahhh…glad that the third book didn’t tarnish your feels for this series! The Library is home to all book lovers and it also a way to keep the peace between bad books that made you feel bad things (like regret😉)! I came like a wanderer at your blog, hopping in here from Joana’s blog, and you twin guys/girls are absolutely amazing!!! I’m broke too, and yes that percy jackson adapttion in film was a disaster, I mean, they took the prohpecy from the 5th book and forced it into 2nd movie, like What!? It’s sad that PJO couldn’t be adapted correctly to our liking’s! It had sooo much potential!! It’s great you’re doing reviews – they can be both fun and frustrating to write!! Like how can we put alll the FEELS into words!! Exactly!!! How to put all those unexplainable feelings in words!!! And that also without SPOILERS!!! I never knew writing a spoiler free review would be so hard, before I actually wrote some!!! But I think I am glad to be a reviewer now, because it feels to be a part of community that you are in! Still confuses, twin sisters or twin brothers? And we can totally relate to non-spoiler reviews! Like how can you convince someone to read something awesome if you can’t say the thing that made it AWESOME!! 😂😂😂 That’s great then. I would die if I make a friend in my new school if he reads novels! I mean, in my previous school, I was asked “really dude? Can’t you get enough from the textbooks! ?” And I am like THESE MERE MORTALS WILL NEVER UNDRRSTAND THE PLEASURE OF CRYING OVER A CHARACTER! Pleasure AND PAIN!! They will never understand the path we awesome people took – many tears shed but also many memories! It was absolutely nice talking to you! I hope you visit my blog sometime and read my review too! Feedback from an experienced one will be an honour.